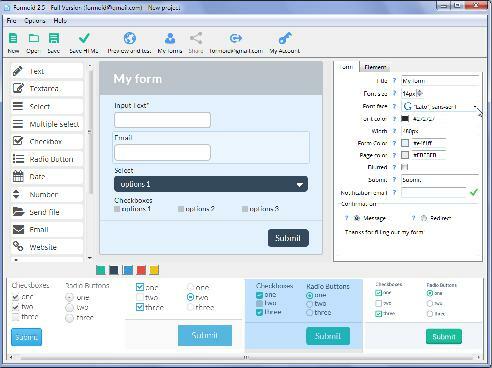 Formoid is a free desktop app that helps you easily create online registration form, php form validation, html5 form validation, php email form and more in a few seconds without writing a single line of code. Create creative online forms in just a few clicks. I would like to buy a license for the formoid. How long is the license for? how much is it to renew it? A: On your server you can use Formoid as long as you need it. If you use our server the forms will not be available after one year. The Business License is for life, it also includes 1 year of free upgrades. After your free upgrade period will expire, you will be able to upgrade your license for only the 50% of the current license price or continue to use version you received as a last free upgrade as long as you need it.